Also includes customized digitized designs! 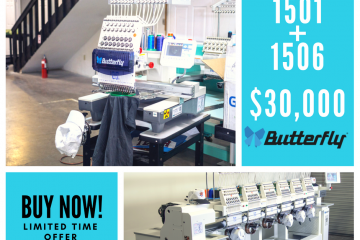 Each Butterfly embroidery machine comes with ‘Threads Embroidery Software’. Threads Embroidery Software is a complete digitizing, lettering, and editing software package. 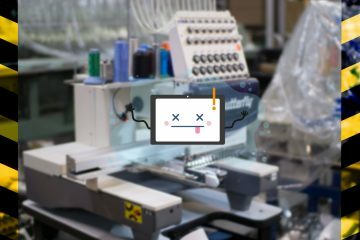 With the Threads Embroidery Software, you can design anything an embroidery machine can embroider. The software is very easy to use and it competes with the highest levels of the competing software. Threads software does not come in tiers, levels or different package names. This software does not limit features and will allow you to create any embroidery design from scratch to stitches. • Full Digitizing Capabilities. Stop outsourcing your digitizing! • No Tier of Level. This one software has it all. We offer live one-on-one trainings and support over the internet. We offer personalized support and training to make sure you can use the software to its maximum potential. The software is very basic and easy to use and not overwhelming like competitors overpriced bulky software.